A partnership between Cultivating Connections and the non-profit Eppard Vision. 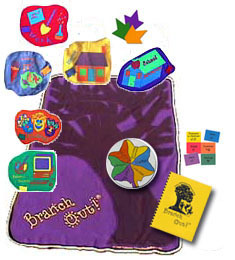 Branch Out!® is an award-winning, research-based, interactive game and curriculum that is making a significant impact in the lives of children. A short video can be viewed at www.cultivatingconnections.com by clicking the “Watch our video” button. Eppard Vision's Branch Out!® Donation Program is dedicated to improving the lives of children by creating a culture of respect and understanding in schools and youth organizations across the country. It is Eppard Vision’s goal to make Branch Out!® available to students in every school. Wide application of Branch Out!® in schools, youth organizations, clubs, and camps will dramatically change the way young people feel about themselves and others. Join us in counteracting youth violence, depression, school dropout, and suicide by donating Branch Out!® kits today. All donations are tax-deductible. For each dollar donated, an equal number of youth are benefited. When you donate a Branch Out!® kit, Eppard Vision will include a personalized donor card with the kit to recognize your contribution. The donor card consists of a picture of you and your answer to a Branch Out!® question, as well as any words of wisdom or encouragement that you would like to include. Please join us in improving the lives of children by becoming a Branch Out!® kit donor today. To make a donation, please fill out the Branch Out!® Donation Program Insert and enclose it with a check payable to Eppard Vision. Thank you for your time and consideration. We appreciate whatever support you can provide. According to the National Center for Educational Statistics and the Bureau of Justice Statistics November 2002 Indicators of School Crime and Safety Report, the prevalence of bullying has increased in schools across the nation. In the year 2000, students ages 12 through 18 were victims of 700,000 violent crimes and 1.2 million crimes of theft (DeVoe, J.F., Peter, K., Kaufman, P., Ruddy, S.A., Miller, A.K., Planty, M., Snyder, T.D., Duhart, D.T., and Rand, M.R. Indicators of School Crime and Safety: 2002 U.S. Departments of Education and Justice. NCES 2003-009/NCJ 196753. Washington, DC: 2002. http://nces.ed.gov/pubs2003/2003009.pdf). Students who bully are four times as likely as those who do not bully to be convicted of crimes by age 24 (Center for the Study of Prevention of Violence, An Overview of Bullying, 2001 http://www.colorado.edu/cspv/publications/factsheets/safeschools/FS-SC07.pdf). 1 in 3 high school students (36%) in a 2005 survey reported having been in a physical fight in the last 12 months (Understanding Youth Violence Fact Sheet 2008. Centers for Disease Control and Prevention. http://www.cdc.gov/ncipc/pub-res/YVFactSheet.pdf). 1 in 3 high school students leave high school without a diploma (Understanding High School Graduation Rates, Updated June 2007. Alliance for Excellent Education. http://www.all4ed.org/files/archive/publications/wcwc/National_wc.pdf). 1 in 3 American children are depressed; the rate of depression among children is increasing 23% per year (Murray, Bob, Ph.D. Even Toddlers Get the Blues. June 26, 2004. http://www.upliftprogram.com/h_depression.html#h800). 1 in 13 high school students attempts suicide (8.4%); 16.9 % consider attempting suicide (Suicide Facts at a Glance Summer 2007. Centers for Disease Control and Prevention. http://www.cdc.gov/ncipc/dvp/Suicide/SuicideDataSheet.pdf). "Thank you! Thank you! Thank you! The girls loved it. They want to do it again. There is one girl in particular who did not speak during the sessions (I observed) and when we did this today, she CAME ALIVE! It was amazing! The girls reported feeling 'closer' today than before. Again, Branch Out was a huge success! Thanks Again!" "Thank you Molly Foote for making Branch Out! You Branched me Out!!!!!" "That game has got to be in stores?hat is the best game because it teaches you about your feelings and helps you to figure out what you want to do with your life." "It was really fun. It was my favorite game! It was really fun to hear everyone's stories?hat everybody's different, that you don't have to be all closed up and stuff, and it's ok just to be yourself." "Your activity demonstrated an inclusive strategy that promoted student-to-student sharing and encouragement. In my estimation, Branch Out! is not only effective; it is unique in the field. The way you have structured this activity, it can be adapted to suit the needs of any school population."